There’s been a lot of buzz about beekeeping in the media lately. 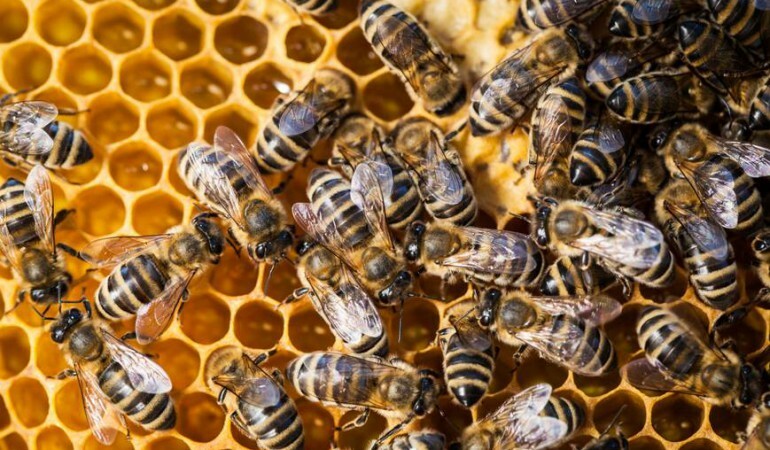 Records have shown that in the US in particular, large colonies of bees are simply disappearing; a phenomenon known as Colony Collapse Disorder. There have been theories to explain the reasons for the worryingly rapid decline of the number of bees. These include the fact that the agricultural industry is using a higher proportion of toxic pesticides which are harmful to bees. Additionally, the notion that the bees are being overworked has been looked into, with colonies taken hundreds of miles across the country to pollinate flowers and collect pollen and nectar. Moving so regularly and working so much is believed to weaken the insects, making them more susceptible to illness and disease. It’s not just bee colonies in the US that have been suffering, though, however. In the UK, a rapidly growing problem is the ‘varroa’ mite, which feeds off a bee’s blood. It is becoming almost impossible to treat the bees for conditions from the varroa mites as the mites are becoming resistant to treatments. 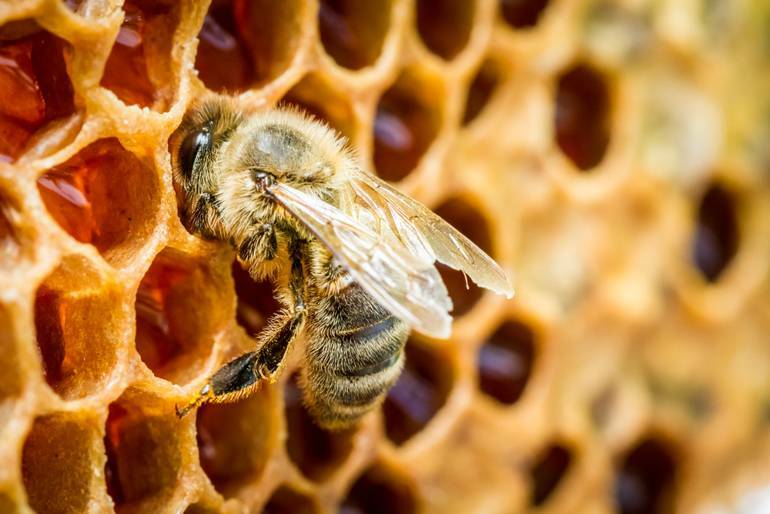 On the surface, this may not seem like a very big problem, but when examined a little deeper, bees are significantly more important than you may realise. There are more than 20,000 species known worldwide, with the most common being the honey bees. They are remarkable in both their habits and the work they do. There can be as many as 80,000 per hive, and they make excellent pollinators. They work to transfer pollen from hundreds of thousands of flowers each day, and facilitating the production of many fruits and vegetables. Therefore it can be argued that these bees help provide nearly one third of the food we consume. The benefits they give us don’t stop at food, either. The honey they make has been used not only as a sweetener for thousands of years, but it is also used as a remedy for ailments including sore throats, burns and cuts due to its antiseptic properties. It’s fair to say that we need bees, and it’s also fair to say that those being looked after by human caretakers are doing much better than those without. 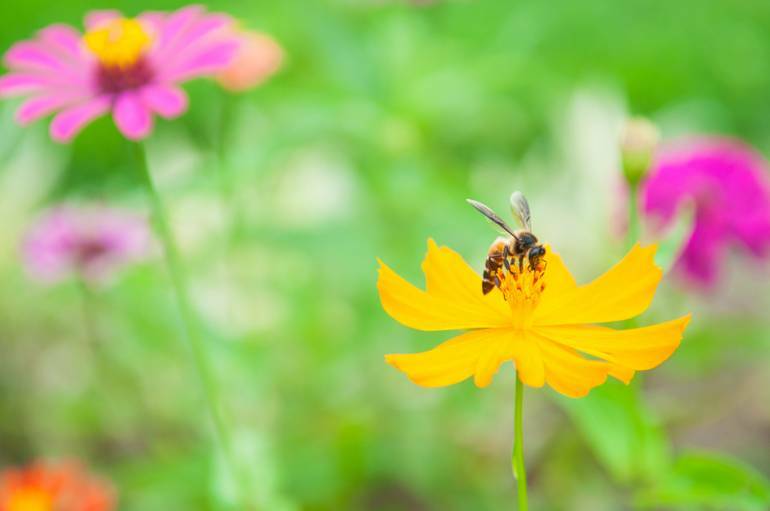 If you’d like to make a difference and help the bees, there are a number of things you can do, regardless of the time or budget you have to spare, and there are a variety of options for different living situations, too. 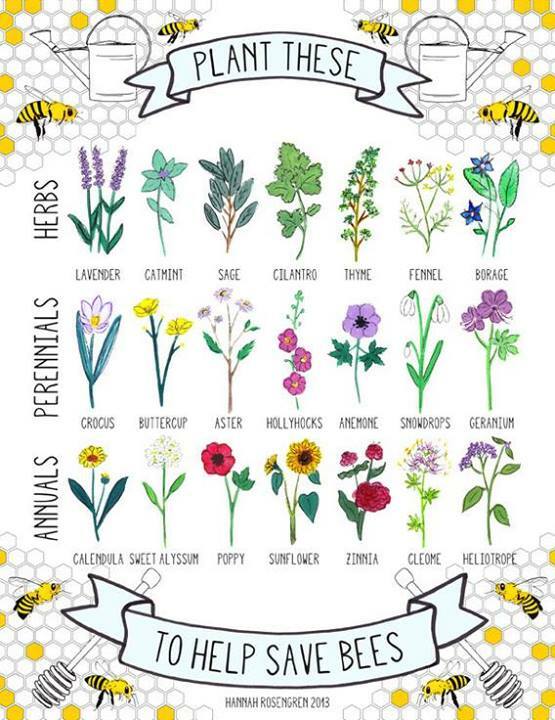 The easiest way to help bees is to help preserve their natural habitat, and to create new ones for them. Any seeds you can get hold of will be of use, but there are some that have been proven to attract bees further than others. There’s a really useful illustration of this below. If you have a little more time to dedicate to the cause, why not consider actually having your own beehive in your back garden? It is actually not as expensive or as difficult as you may imagine to get started, and you won’t need too much space either. 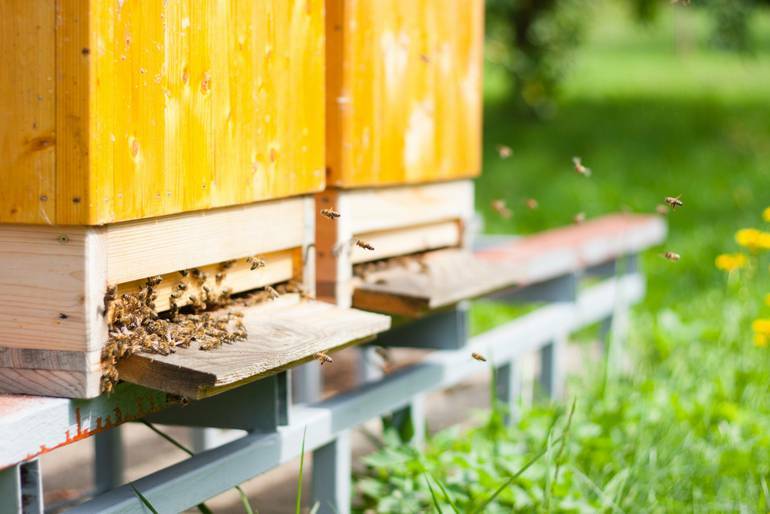 Beekeeping can be easily integrated into modern living with a little know-how. You only need a space that’s roughly about 2-by-3 ft for the actual beehive, and for approximately £250 you can get a good-quality hive with a full brood of bees. The bees themselves can fly for miles so if you don’t have the option of planting lots of flowers nearby, that’s not an issue. The amount of time you will need to spend with the bees will actually be relatively minimal, with an estimated 20/30 hours being sufficient over the course of a whole year. The bees will largely take care of themselves, with you only being required to spend about an hour a week tending to the hive and removing the honey. As well as the actual hive and the bees (which should be sourced locally where possible so they are not transported too far) you will also need some other equipment for beekeeping. 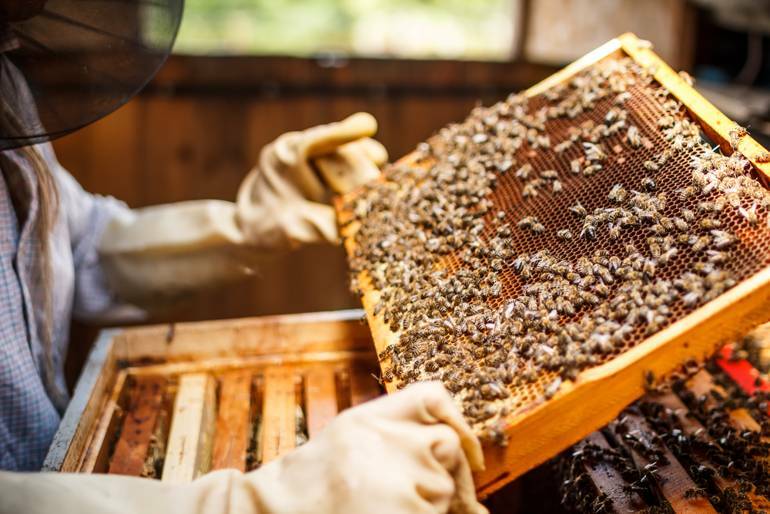 This will include protective clothing to avoid stings, hive tools for clearing the wax and levering the combs and a well-lit smoker. Being mindful of your neighbours is important when beekeeping. In towns, people sometimes keep their bee hives on roof tops, well away from people, and you should also ensure the main flight path of the bees does not cross a public path. If you would like some extra info about beekeeping in your back garden and would like to know more about how you can get started, check out the British Beekeepers Association website.